Many vacation destinations list museums as one of their top things to do. Museums can help provide deeper understanding of a specific topic and add in some educational travel to your trip. But museum visits also bring to front one of the big conflicts of family vacations, how do you keep kids interested in adult topics? 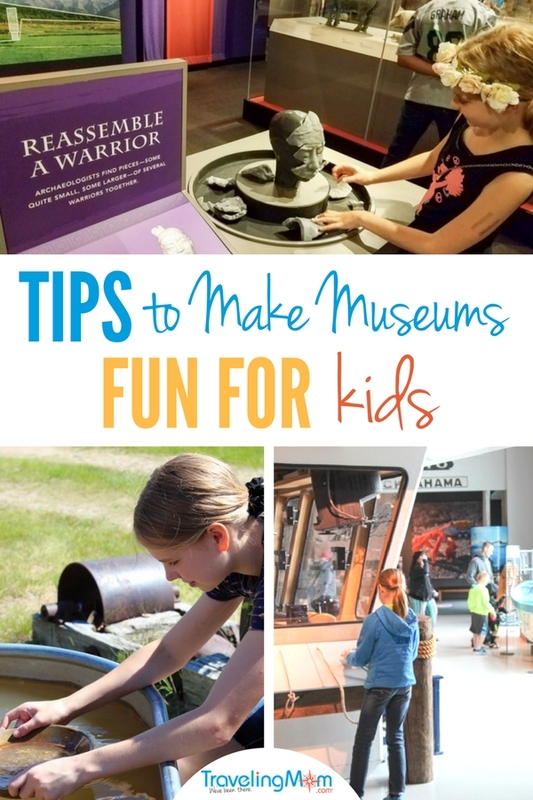 How to Make Visiting a Museum with Kids Fun? I’ll admit that we’ve had some great museum visits on our family vacations, but we’ve also had some not so great ones. Often the bad ones were because our girls got bored and started bugging us about when we’d be done or tried to drag us quickly through each exhibit. Make sure your vacation money is well spent and enjoyed with these tips for how to make museum visits fun for kids. Audio tours can be surprisingly fun for kids. They often love following and finding the number plaques throughout the museum. Many large museums offer audio tours specifically made for kids. Audio tours are also a great way for kids to learn on museum visits. They’ll hear engaging facts that can help make the museum exhibits come alive and provide an educational travel experience. Many museums offer special programming for families and kids. Some programs require additional admission, but many are complimentary. 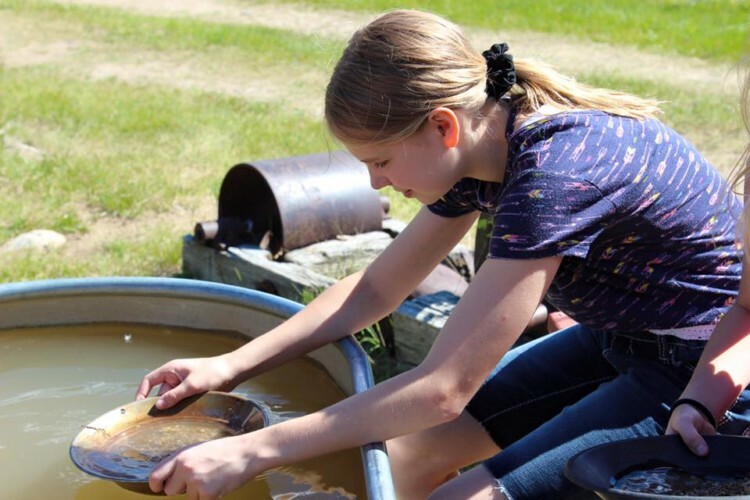 These special programs often are tailored towards providing a hands-on learning experience. Our local art museum offers a creation program that lets kids create art inspired by some of the exhibits. Check the museum’s website to find programs and determine when the program occurs. I’m a huge fan of scavenger hunts for gifts, but you can also make museum visits fun with them, too! 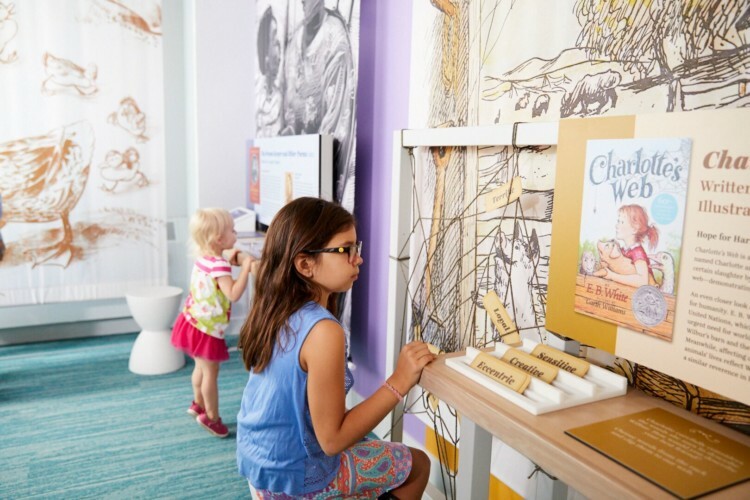 Kids will love exploring through the museum looking for each of the items on their list. If you have a creative kid, consider buying a special sketch pad or journal for the trip. Encourage them to sketch or write about their favorite exhibits during the visit. You could even let them choose their art supplies in advance so they feel like it’s their project. Do some advance work before the museum visits by researching online some of the main exhibits with your kids. See if something sparks their interest. As a final step in their creative process, you could photograph or scan the sketches and create a photo book for them filled with all their creations. If you don’t have a drawer or writer, perhaps you have a photographer. 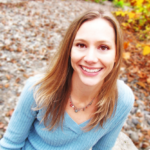 Consider giving your kid a camera for them to capture their favorite sights during the visit. Just be sure to know in advance what the photo/video policy is for the museum and make sure you can turn off the flash. One option that works especially well in international destinations is to book a private tour guide. Tour companies will operate tours that consist of only a few guests, sometimes you can even book a private tour for your family alone. You can search for and often find tours that are tailored for families and offer guides who understand how to make the museum exciting for kids. LivItaly tours offer VR tours of the Colosseum, something I know my kids would find exciting and engaging. I’ll admit that my girls love to eat out. If we’re traveling to a museum, they especially love stopping into the museum cafe to get a snack and drink. The cafes at museums are often bright and open places that allow everyone a moment to breathe. And museum designers often strategically place the cafes at a good stopping point through the museum. At The Met in New York City, they have a rooftop bar that I know my girls would love to experience. Providing snacks is one of the foundational family travel tips that everyone needs to rely on. Check out these other great NYC museums for kids. My final tip for visiting a museum with kids is to hand over the map. Let your kids be your guide for the day. If kids feel that they’re involved in the process, they’ll often be much more excited rather than feeling like they’re being dragged along behind you. As parents, we can of course offer advise and opinions, but the kids will delight in having the power to decide where to go next. 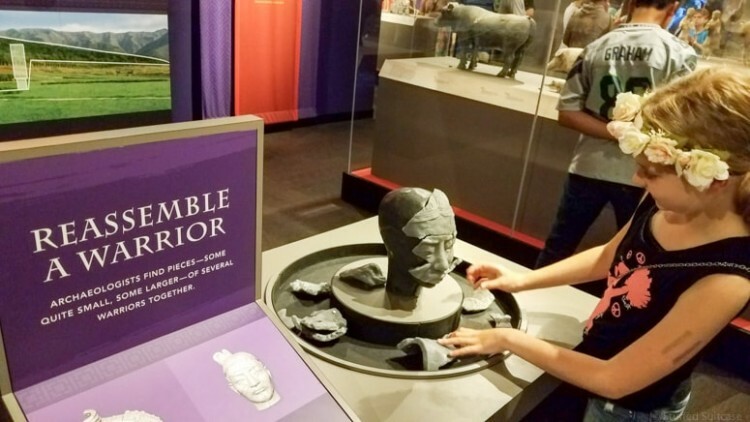 Hopefully, these tips will help you prepare for your next family vacation with making museum visits fun for everyone in the family. You can even find fun museums for kids in Vegas! What are you tried-and-tried tips for visiting a museum with kids? Share with us in the comments below.